Capt. William Howard Hughes Jr. disappeared in July 1983 after returning from duty in Europe. Hughes’s Cold War-era disappearance prompted concerns and theories that the Air Force officer had been abducted by the Soviet Union or had defected to the USSR. Prior to his disappearance, Hughes was last seen in New Mexico withdrawing a total of $28,500 from his bank account at 19 different branch locations. He was declared a deserter on Dec. 9, 1983. Last week, the State Department’s Diplomatic Security Service was conducting an interview during a passport fraud investigation. Investigators were interviewing a man claiming to be Barry O’Beirne. After investigators confronted him with inconsistencies about his identity, the man admitted his true name was William Howard Hughes Jr. and he deserted from the Air Force in 1983. 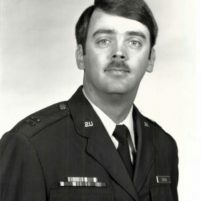 Hughes told investigators that in 1983 he was depressed about being in the Air Force, so he fled and created the fictitious identity of O’Beirne. He had been living in California ever since. In Jan. 1984, Hughes’ sister, Christine Hughes, told the Associated Press that the family believed Hughes had been abducted. A couple years later, in July 1986, the Los Angeles Times reported that, after several French and American rocket ships exploded following improper launches, intelligence officers believed the rockets may have been sabotaged with help from Hughes. “He is worth his weight in gold to the Russians in terms of future ‘Star Wars,’ if we have them,” the LA Times quoted an intelligence officer as saying. Sorry, Jorge….seems it was as simple as his fingerprints. Change your name and looks all you want. Fingerprints don’t lie. That why we have a National Databank. California’s “Santuary Cities” and our recreational activities have nothing to do with this coward being caught. Or him being able to hide for so long. Every conservative state has harbored a criminal or two. A states political platform rarely has anything to do with the criminals choice of where to hide. Lucky for him California is a sanctuary state with recreational everything. Maybe he should have used a different name like El Beirne instead of O’Beirne? Jorge, this has nothing to do with “sanctuary” cities or the election.